Today marks yet another edition of Twitter Thursday. A special note: One of our frequently featured contributors just celebrated a birthday on Tuesday and I want to take this opportunity to give him a big shout out. 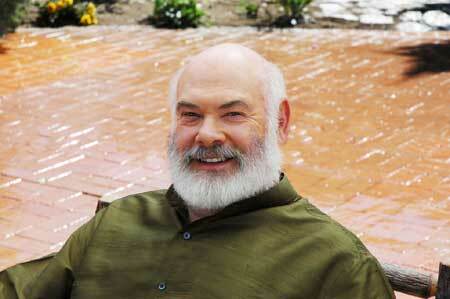 Happy birthday, Dr. Weil! Many of you are undoubtedly aware of Andrew Weil and the profoundly significant role he’s played in integrating alternative and complementary medicine into the mainstream. He’s now 68 years old and continues to be a leader in the integrative health movement. Even though we don’t agree on all heath care issues, I fervently believe that he is indeed one of the good guys currently working in the healing arts. The research is based on a study conducted at the Mayo Clinic that was just presented at the American Society of Clinical Oncology. A green tea-derived phytochemical, EGCG, was used in the trial. The exact name of the extract is Polyphenon E.
42 patients received a twice-daily dosage of 2,000 mg of EGCG for up to 6 months. 31% of the CLL patients demonstrated a >20% reduction in blood lymphocyte counts. 66% of patients with palpable adenopathy experienced a 50% or greater reduction in lymph node size. Only 4.8% of the participants reported significant (grade 3) side effects or toxicity – mostly digestive complaints such as abdominal pain and nausea. Speaking of Dr. Weil, he recently tweeted about a study that questions the traditional wisdom that losing weight slowly leads to longer term weight loss maintenance. Scientists from the Department of Clinical and Health Psychology at the University of Florida are at the crux of the current debate. They recently conducted a trial involving 262 middle-aged men and women who were classified as obese. All of the study volunteers were “encouraged to reduce caloric intake to achieve weight loses of .45 kg/week” for a period of 6 months. After the 6 month intervention, all of the participants were followed via an “extended care program”. The obese men and women were ultimately divided into three sub-groups based on how quickly they lost weight: 1) the “fast” group > .68 kg/week; 2) the “moderate” group – between >.23 and <.68 kg/week; and 3) the “slow” group <.23 kg/week. Here are the weight loss figures after the 6 month intervention and at the end of the 18 month follow up period. After 6 Months - “Fast” = 30 lbs lost. “Moderate” = 20 lbs. “Slow” = 11 lbs. After 18 Months - “Fast” = 24 lbs. lost. “Moderate” = 16 lbs. “Slow” = 8 lbs. It’s important to periodically challenge our beliefs. Dr. Weil did so when presenting the “fast” weight loss study results. He didn’t simply assume that the trial was flawed or unbelievable because it deviated from previously published research. Instead, he evaluated the data and then put it into the context of the other studies already conducted on the same topic. That’s a great lead to follow. Ultimately, we all want to find the truth about what genuinely heals and what doesn’t. Sometimes the results will be messy and inconvenient. Inevitably, there will be times when natural medicines are more dangerous and less effective than conventional drugs and vice versa. The only way to navigate these waters responsibly is to keep a critical but open mind and assess the evidence on a case by case basis. If we manage to accomplish that, then the whole of medicine will get a whole lot healthier. great article, i always love infos about green tea, it’s a miracle plant for me. I love it too. It’s a regular part of my daily routine. White tea too! Me too. I also like combining white tea with other teas to see what they taste like. It’s a healthy hobby! I hope you and your husband have a great weekend! 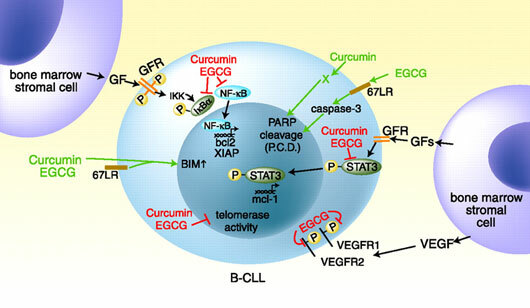 JP, I take a daily curcumin supplement and was wondering if research indicates if curcumin with green tea helps to prevent the cancer or is the benefits in it’s usage to battle the disease? The evidence is preliminary to be sure. But, both possibilities exist – combating existing cancer and protecting against it. Combination of curcumin and green tea catechins prevents dimethylhydrazine-induced colon carcinogenesis. IQP-GC-101 reduces body weight and body fat mass: a randomized, double-blind, placebo-controlled study. IQP-GC-101 is a patented blend of the standardized extracts of Garcinia cambogia, Camellia sinensis, unroasted Coffea arabica, and Lagerstroemia speciosa. These individual ingredients of IQP-GC-101 have each shown promise in promoting weight loss; however, the efficacy of the blend has not been established. This randomized, placebo-controlled, double-blind, parallel group study conducted over 14 weeks (including a 2-week run-in phase) aimed to investigate the efficacy and safety of IQP-GC-101 in reducing body weight and body fat mass in overweight Caucasian adults. Subjects took three IQP-GC-101 or placebo tablets, twice a day, 30 min before main meals. All subjects also adhered to a 500 kcal/day energy deficit diet with 30% of energy from fat. Ninety-one overweight and mildly obese subjects (46 in the IQP-GC-101 group, 45 in the placebo group) completed the study. After 12-week intervention, IQP-GC-101 resulted in a mean (±SD) weight loss of 2.26 ± 2.37 kg compared with 0.56 ± 2.34 kg for placebo (pU = 0.002). There was also significantly more reduction in body fat mass, waist circumference, and hip circumference in the IQP-GC-101 group. No serious adverse events were reported. The use of IQP-GC-101 has been shown to result in body weight and body fat reduction in the current study, with good tolerability. J Exerc Nutrition Biochem. 2016 Mar 31;20(1):1-8. The combined effect of green tea and acute interval sprinting exercise on fat oxidation of trained and untrained males. PURPOSE: This study investigated the combined effect of green tea and acute interval sprinting exercise on fat oxidation of trained and untrained males. METHODS: Fourteen trained and 14 untrained males ingested one capsule containing either green tea or cellulose with breakfast, lunch, and dinner, 24 hours before two exercise sessions. A fourth capsule was consumed 90 minutes before exercise after overnight NPO (nil per os). Participants performed a 20-minute interval sprinting cycling protocol, consisting of repeated bouts of 8-seconds of sprint cycling (at 65% of maximum power output) and 12-seconds of recovery (at 25% of maximum power output), followed by 75 minutes of post-exercise recovery. RESULTS: Fat oxidation was significantly greater in the resting condition after green tea ingestion (p < 0.05) compared with the placebo. Fat oxidation was also significantly increased post-exercise in the green tea, compared with the placebo condition (p < 0.01). During and after exercise the plasma glycerol levels significantly increased in both groups after green tea consumption and were significantly higher in the untrained group compared with the trained group (p < 0.05). Compared with the placebo, the plasma epinephrine levels were significantly higher for both groups in the green tea condition during and after exercise, however, norepinephrine levels were only significantly greater, p < 0.05, during and after exercise in the untrained group. CONCLUSION: Green tea significantly increased resting and post-exercise fat oxidation and also elevated plasma glycerol and epinephrine levels during and after interval sprinting. Glycerol and norepinephrine levels during interval sprinting were significantly higher in the untrained group compared with the trained group. Environ Toxicol Pharmacol. 2016 Jul 26;46:183-187. Effects of dietary green tea polyphenol supplementation on the health of workers exposed to high-voltage power lines. Although it has been several decades since the focus on the effect of extremely low frequency electromagnetic fields (ELF-EMF) of high-voltage power lines on human health, no consistent conclusion has been drawn. The present study aimed to investigate the change in oxidative stress after exposure to ELF-EMFs, and potential protective effects of green tea polyphenol supplementation (GTPS) on ELF-EMFs induced oxidative stress. A total of 867 subjects, including workers with or without exposure to ELF-EMFs of 110-420kV power lines, participated and were randomized into GTPS and placebo treatment groups. Oxidative stress and oxidative damage to DNA were assessed by urinary tests of 8-isoprostane and 8-OHdG. Significant increased urinary 8-isoprostane and 8-OHdG were observed in workers with ELF-EMFs exposure, which were diminished after 12 months of GTPS. No protective effects of GTPS on oxidative stress and oxidative damage to DNA were observed after three months of GTPS withdraw. We found a negative impact of high-voltage power lines on the health of workers. Long-term GTPS could be an efficient protection against the health issues induced by high-voltage power lines. Acute Epigallocatechin 3 Gallate (EGCG) Supplementation Delays Gastric Emptying in Healthy Women: A Randomized, Double-Blind, Placebo-Controlled Crossover Study. Background: Epigallocatechin 3 Gallate (EGCG) appears to act in appetite control through hormonal modulation. However, there is a lack of elucidation of EGCG’s action mechanisms, especially in humans. The aim of this study was to evaluate the effects of acute EGCG supplementation on gastric emptying and its relation to blood hormones, glucose and appetite perceptions in healthy women. Methods: 22 healthy adult women were included in a randomized, double-blind, placebo-controlled crossover study. On two separate occasions, 1 week apart from each other, we offered 800 mg of corn starch (placebo) or 752 mg of EGCG. Appetite was assessed through gastric emptying; perceptions of hunger, desire to eat and satiation; and plasma insulin, adiponectin, leptin and glucose concentrations. The evaluations were carried out in fasting, 30, 90 and 150 min after supplementation. Results: EGCG supplementation induced higher relative gastric volume at 30 and 90 min. Satiation at 90 min was higher in the EGCG group. Adiponectin concentrations at 150 min were higher with EGCG, but no difference was found for glucose, insulin and leptin concentrations. Conclusions: Acute EGCG supplementation is able to delay gastric emptying in healthy women to a small, but statistically significant extent.